Crisp winds, reading stories aloud together, steely clouds scudding across blue skies. This is October to me. I love the return of hand warmer weather – these perfect days of energy and layers. I even think I run faster in fall out of sheer joy at being alive in all these winds and leaves. I wanted to knit something to celebrate my favourite time of year: autumn. 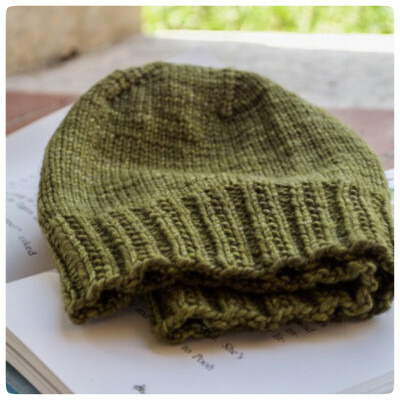 So I knit a simple slouchy hat, perfect for keeping warm when you’re outside enjoying a sunset or eating honey with a friend under a tree. 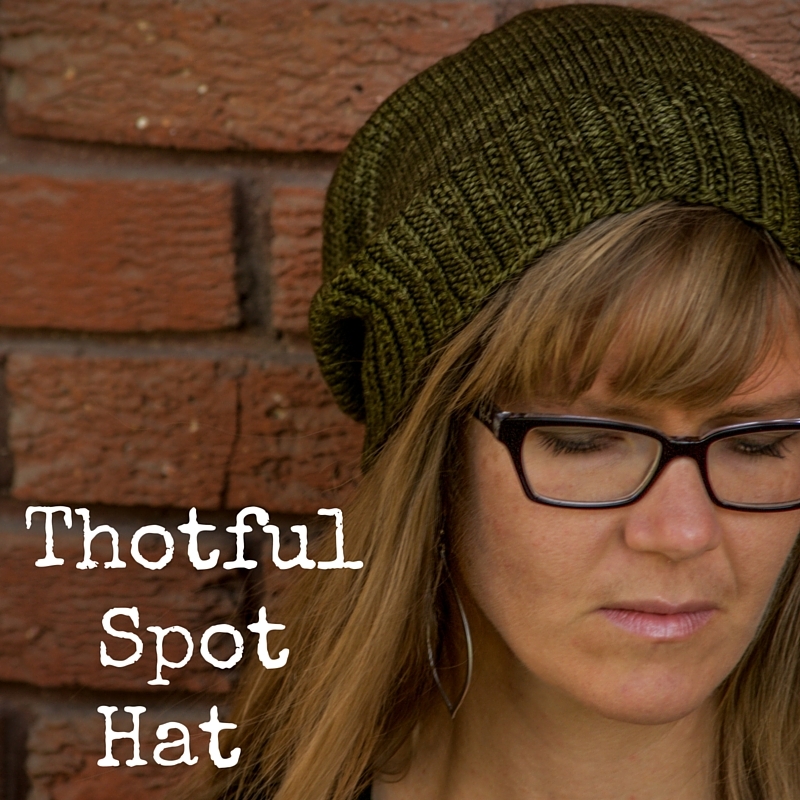 The name Thotful Spot is a reference to Winnie the Pooh’s special yet humble place to sit and think. I always think of Winnie the Pooh in autumn. Perhaps it’s the back-to-school storytime routine. Perhaps it’s the urge to take every possible moment to sit outside before the snow flurries fill the skies. The textured rib is easy – it’s just a two-row repeat. 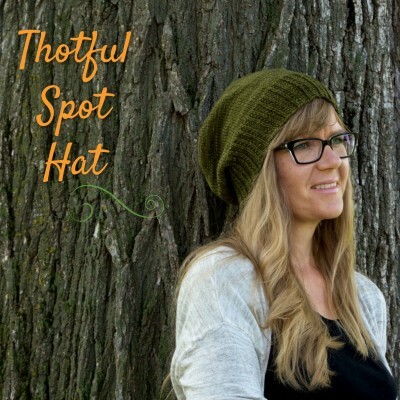 This hat would work inmost sport or DK yarns – solid, variegated, gradient – the simplicity of the design will handle anything you throw at it. 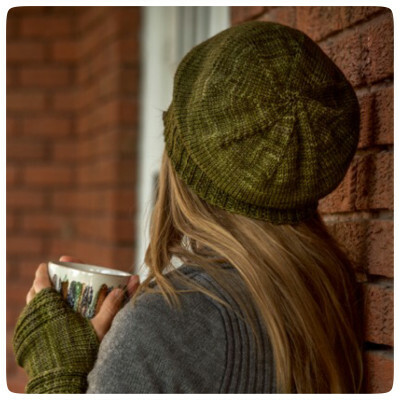 This hat pattern has a matching set of hand warmers if your fingers wish they were as cozy as your ears.